Find fun and educational activities for children with autism. Floor-time activities for children with autism teach daily living skills, improve behavior problems, increase communication and social skills and decrease emotional disturbances. Activities take place on the floor to create an intimate environment where the child and the adult are in close contact. 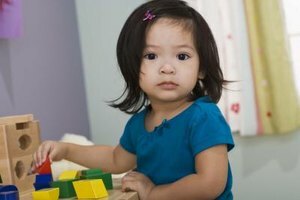 Floor time activities can include playing with small toys, reading books, playing in a sandbox, listening to music or working with play dough. Use different and exciting objects during floor play. The purpose of using toys in floor-time play is to introduce new words, increase verbal communication and social interaction and to become familiar with non-verbal social cues. The adult should choose toys that the child is interested in and those toys will be used to prompt the child to take the lead during play activities. 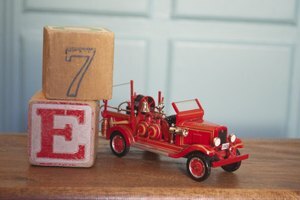 Puppets, dolls, and cars are good toys because they can be used to tell stories and to create meaningful interactions. Books are used during floor time to facilitate abstract thinking, increase verbal communication and to learn about the correlation between cause and effect. The adult should choose books that the child likes and ones that solve problems or tell a story. The book should be read while the child is looking at the pictures and following along. The adult can then ask the child questions about the story and about the interactions between the characters in the book. Uncover new vocabulary words while having a good time with everyday play. Playing in a small sandbox is a floor-time activity that facilitates learning new words, increased verbal communication and improves emotional disturbances resulting from children touching new or disliked textures. The adult can hide objects or word cards in the sand to prompt the child to touch the sand and find the objects. The child can guess the words or objects hidden in the sand and the adult can ask questions and teach new vocabulary. The purpose of listening to music during floor time activities is to increase social interaction, improve motor skills, expand vocabulary, decrease emotional disturbance and extinguish negative behaviors. The child should pick music that he or she likes to listen to, sing along with or dance to. The adult facilitates social interaction relating to the music with sing-along and dance. Music can often be played during floor time to soothe the child or calm them down after a negative experience. Working with play dough during floor time increases social interaction, encourages learning about colors, numbers and shapes, and decreases difficulties with touching different types of textures. If the child is interested in using play dough, the adult can set up an area on the floor where the child and the adult can play. The child should take the lead in deciding what is being made and the adult can facilitate communication by asking questions and telling stories about the play dough objects. Scrudders, Jayme. "Floor-Time Autism Activities." Synonym, https://classroom.synonym.com/floortime-autism-activities-7453424.html. Accessed 24 April 2019.